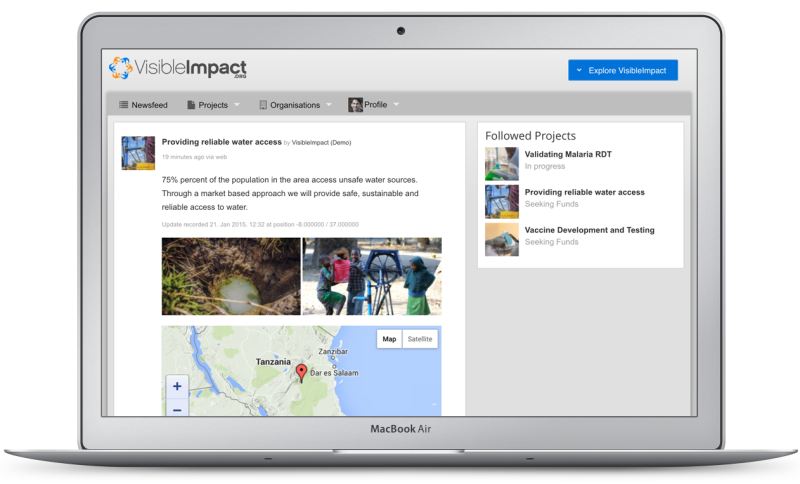 With VisibleImpact, all relevant information is allocated to the respective project. Whether updates come from team members in the field or in offices around the world: data is saved to project timelines and delivered to personal newsfeeds. Project updates can include text, pictures, documents and structured data. 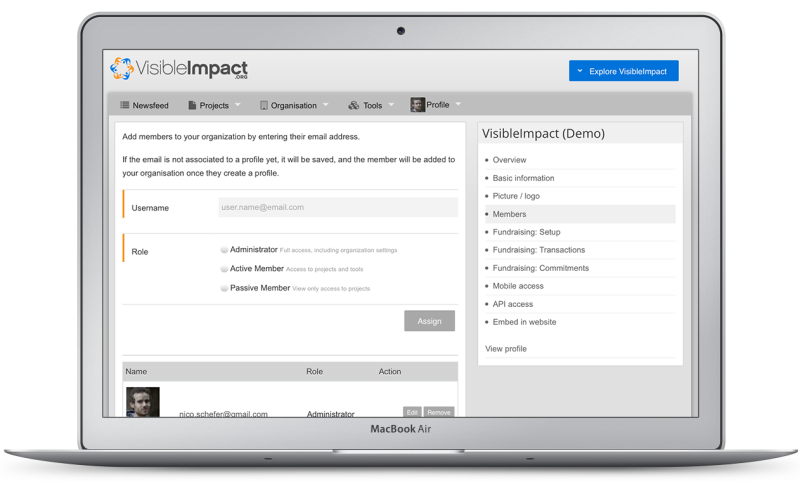 VisibleImpact is built for multi-user project management. Organisations can add multiple members to their account, assign them to specific projects, and manage levels of access. Project information and updates are instantly shared within project teams. 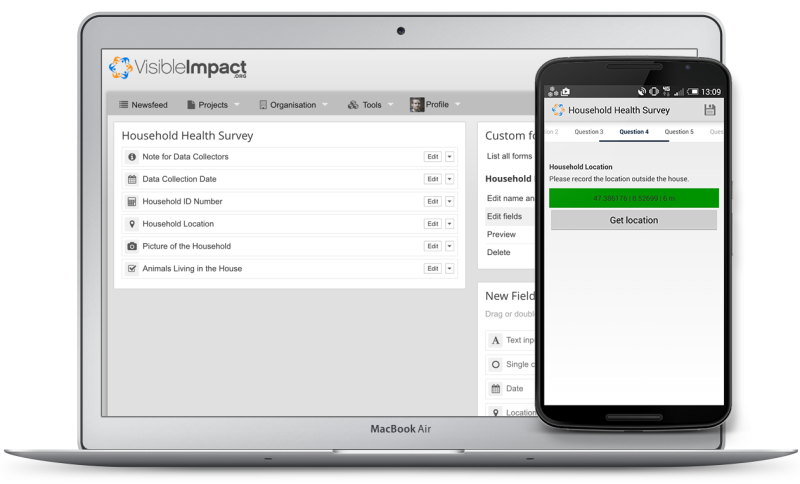 We have seamlessly integrated impact measurement and data visualization into project tracking. Organisations can create customized data collection forms and enter, aggregate and visualize data. Forms can also be shared with other organisations, allowing data submission and analysis across multiple organisations. An unlimited number of field data collectors can collect data using mobile devices, without the need for a personal VisibleImpact profile.